The myth – there is no study of giving vaccines in combination, only studies of individual vaccines. Why it’s incorrect – vaccine combinations are actually studied thoroughly and from multiple directions. …all vaccines are subjected to concomitant studies before they are approved for use, meaning that all new vaccines must be tested in conjunction with existing ones to ensure there are no negative interactions. 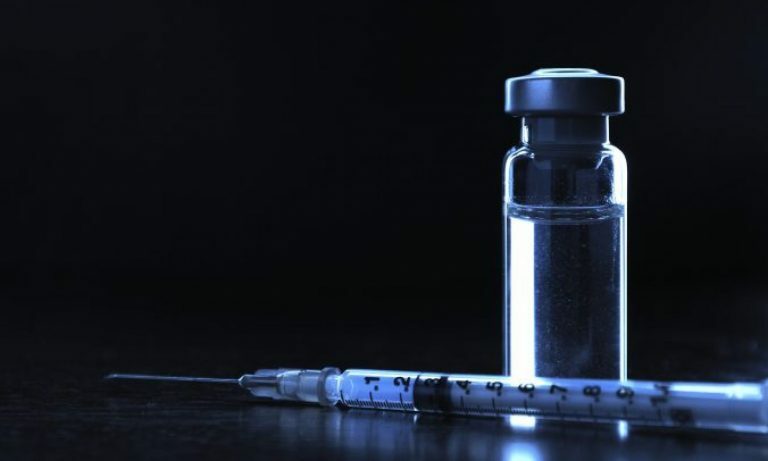 Regulatory agencies such as the Food and Drug Administration (FDA) are careful to look for any side effects associated with concomitant use before approving a new vaccine. Examples of concomitant studies can be found here and here. On specific questions, the schedule is, again, examined. For example, Smith and Wood examined if on-time receipt of vaccines during the first years leads to different neuropsychological outcomes compared to delaying or not receiving the vaccines – and found that the answer is no. A study of asthma looked at children who received multiple vaccines – also found that the answer is no. The committee found no significant evidence to imply that the recommended immunization schedule is not safe. Furthermore, existing surveillance and response systems have identified adverse events known to be associated with vaccination. The federal immunization research infrastructure is strong. While the committee found that there is no scientific evidence to justify the majority of safety concerns, perceptions dictate parental support and actions. Therefore further study of the full immunization schedule as well as further study to understand stakeholder perceptions and how they are formed may help improve awareness and education efforts. In other words, the committee recommended more research not because there was evidence supporting concerns raised – there wasn’t – but to remove the cause of concern, the perception of a problem. Think of all these studies – thousands and thousands of them – as a jigsaw puzzle. The puzzle isn’t one piece. It is composed of many pieces that fit together, creating a complete picture. The big picture on vaccinations is that they are safe and save lives. For individuals with conditions counter-indicating one or more vaccines, studies have already identified those conditions and the risks to guide clinicians. More studies are being done all the time to keep an eye out for developing risks. Science is a process. Science is not about The One Study. It’s about ALL the studies. One study can be wrong; when multiple studies from different directions show that the vaccine combinations we use are safe and as safe or safer than individual vaccines; when government monitoring finds no serious safety issues with the schedule, and an independent committee of the Institute of Medicine finds none, either – that is extremely powerful evidence that the schedule is safe. The myth – vaccines are not tested against a true placebo. The only way to properly test vaccines’ safety and effectiveness is against a group that gets an injection of saline solution. Why it’s incorrect – to start with, this claim assumes that the only valid vaccine testing and safety method is through randomized clinical trials (which is where you actually separate people into two groups, one of which gets the vaccine and the other a placebo). But if that is all we had, it would be a lot less than the evidence we have today regarding vaccine safety. For example, at the point several vaccines were licensed, the concerns about autism were not as vivid as they are today, and therefore the clinical trials did not look at autism. At the point several vaccines were licensed, they were not intended to be given to pregnant women and therefore were not tested for safety in pregnancy. And what if concerns arise after the fact that vaccines cause long-term harm that was not considered when the trials were done? As was the case for allergies and asthma? For all these issues, clinical trials would be problematic: once a vaccine is found safe and effective, denying children the protection from the disease it offers in order to test a newly arisen safety concern is unethical. Soon all these questions retrospective studies were done. These don’t include an official placebo – but often include a control group that didn’t get the vaccine. So when Swedish and Danish researchers examined autoimmune problems to see if HPV vaccines cause them, they compared almost 300,000 young women who got HPV vaccines to over 600,000 who didn’t. The control group didn’t receive saline solution; it simply didn’t receive the vaccine. Claiming this is not a valid control doesn’t work. If the rates of autoimmune diseases are similar between those who got the vaccine and those who didn’t, it’s problematic to claim the vaccine causes autoimmune diseases. So already, the claim doesn’t hold for many of the studies we use to examine vaccine safety. For clinical trials as well, the claim doesn’t work. First, some vaccines did have a saline placebo. The large-scale Salk vaccine trial used it; one of the control groups used to test Gardasil received a placebo. Second, the claim is wrong in assuming that only a saline solution is a valid control in this case. The goal of a control group is twofold. First, to examine if the vaccine is effective in preventing disease. Here, comparing the vaccine to something that wouldn’t prevent that disease is what is needed. Second, to examine if the vaccine is safe. Here, comparing the vaccine to something known to be safe is needed. There are two potential alternatives used. One is a solution that only contains the additive to the vaccines compared to a solution which includes also the active ingredient. Why is a solution with the additional ingredients a valid control? Because generally, the tiny amounts of additional ingredients in vaccines are a known quantity. Aluminum adjuvants, for example, have been used since the 1930s and their effects aren’t a mystery. The question is what does the active ingredient in the vaccine do. In other cases, an already approved vaccine is used. An already used vaccine is, again, a known quantity. It has been previously found safe, and its potential side effects are known. In both cases, the comparison will tell us if the vaccine can prevent the disease because neither a solution nor another vaccine would do that. In both cases, there’s a valid safety comparison, since we know the safety profile of the control used. In other words, vaccines are carefully studied and tested in controlled studies and clinical trials, using valid controls. The Myth – all the studies showing vaccines safe come from pharma and/or are funded by pharmaceutical companies. Why it’s incorrect – it’s true that the clinical trials needed to license a vaccine and get it to market are usually done by and mostly funded by pharmaceutical companies. Since most vaccines fail those trials, and since the profits from successful vaccines go primarily to pharmaceutical companies, why should anyone else pay? Further, who else would have the resources and expertise to pay? Phase III clinical trials cost hundreds of millions of dollars. If not from a company, where would the money come from? Would it be better for the vaccine not to be as thoroughly tested? But those trials are only a small part of the apparatus used to ensure vaccine safety. Post-market monitoring by different governments in the countries using the vaccine. In other words, even if we assumed pharmaceutical companies controlled all agencies in the United States if they are selling their vaccine abroad – as is often the case – other governments would also be monitoring the vaccine carefully. In the United States alone there are multiple mechanisms to examine safety. Post-market studies of vaccine safety – generally, and on specific issues – are done by multiple actors in different countries which may include researchers working for pharmaceutical companies, for governments, for non-profits or for universities. The studies are often done by large teams. Funding sources may include grants from pharmaceutical companies, from governments, from non-profit foundations and more. The studies examining whether thimerosal in vaccines cause autism come from different continents and countries, done by independent teams – studies that reinforce each other. See this, this and this for more information. For example, claims about the so-called Autoimmune Syndrome Induced by Adjuvants (ASIA) can be mostly traced back to groups headed by Yehuda Shoenfeld and various collaborators. Not only is the syndrome problematic by itself, but when the information is centralized this way, all coming from interrelated groups, it can raise more questions than answers. The myth–the fact that United States manufacturers have liability protections means they can get away with putting unsafe vaccines on the market. Why it’s incorrect – first, United States manufacturers may – and often do – sell the same vaccine to countries without liability protection. For example, neither Canada nor Australia has no-fault programs for vaccine injuries. Second, the assumption behind the view that liability would increase safety is incorrect. The assumption is that the ability to go to the court will lead to frequent wins in the courts against pharmaceutical companies. In the 1980s, that may have been true. But winning a product liability claim in the courts today, against a product as heavily regulated as vaccines, would be anything but easy. Note that there aren’t many suits won in Australia and Canada. In fact, winning compensation is harder in the courts than in NVICP. In other words, as a way to assure safety, the ability to take a company to court is of limited value: winning can be hard and doesn’t necessarily depend on the merits of the case. The danger of being taken to court can have an impact on company behavior – but it’s not clear that it will lead to increased safety: in the 1980s it led to companies leaving the market. After all, companies know they can lose cases even if their vaccines are very safe. Premarket licensing requirements, including, before clinical trials are allowed, animal studies and other preliminary work. Clinical trials, with stage III trials including thousands or tens of thousands of people. Post-market monitoring by a different government in different countries, with the ability to pull a vaccine off a market or rescind a recommendation. And, as mentioned above, studies from researchers from all around the world. Everybody wants safe vaccines. Pro-vaccine people who give vaccines to their children – of course, they want robust vaccine testing and safety studies. That’s why so much effort – in time, money and attention – is given to vaccine safety. That’s why so much thought is put into vaccine testing. That’s why the schedule is carefully considered and monitored and there are overlapping mechanisms in place. And that extensive effort is why vaccine harms are extremely rare, and why a body of literature that consists of tens of thousands of studies from all over the world shows that vaccines are very, very safe. Acknowledgments: I am grateful to Allison Hagood, Rene Najera, Paul Offit and Alice Warning Wasney for feedback to previous drafts. All errors are, of course, my own. Editor’s note – this article was first published in September 2015.It has undergone copyediting, fixing broken links and other issues, and general cleaning up of the article.